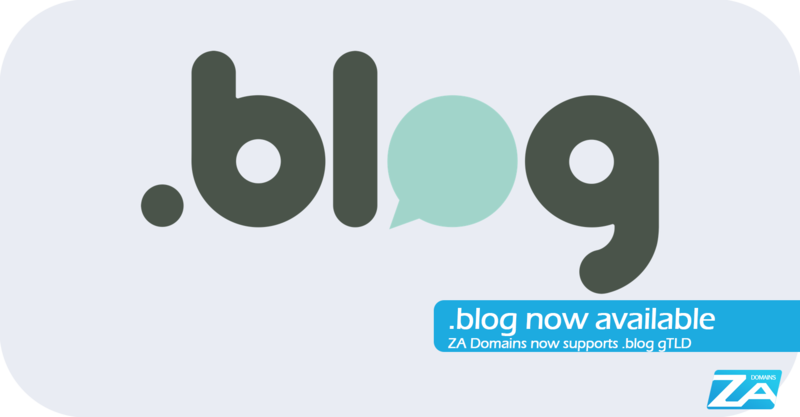 Domain Resellers and Participating Accredited Domain Registrars can now purchase the new .blog domain names from the ZA Domains Multi Registrar Control Panel. Express yourself and promote your blog with a .blog domain name, the most anticipated gTLD. .Blog is going to become the next XYZ and will grow in popularity – So hurry and ensure that you secure your .blog domain name with ZA Domains. Automattic — the parent company of WordPress.com — secured the rights to oversee and operate the sale and registration of .blog domains, a new and never-before available top-level domain. You’ll be able to purchase a .blog domain at WordPress.com or through our partner domain name registrars. And again, the .blog domain will be available to everyone, regardless of what kind of site you have or who hosts it.